Wiradjuri Language: Useful Words and Phrases Vol. 1 Animation DVD. 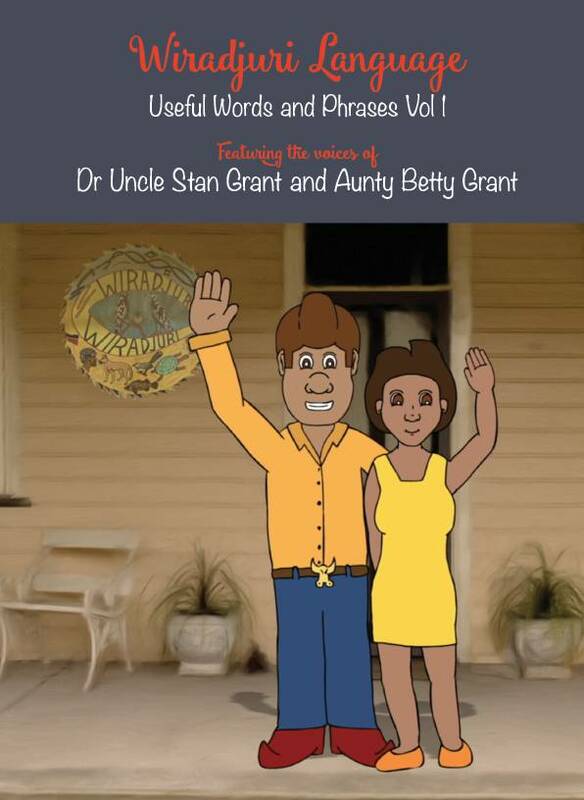 Three unique new animations based on voice recording of Useful Words and Phrases in Wiradjuri Language recorded by Dr Uncle Stan Grant with translations in English by Aunty Betty Grant. This is a fantastic animated resource for anyone, young or old, wishing to hear and become familiar with everyday phrases in Wiradjuri language from a native speaker. These beautiful and fun animated scenarios work best with the Wiradjuri Language Useful Words and Phrases Vol 1 book and audio CD, but also work on their own. The visual cues from the story along with the sound of Uncle Stan’s voice are a combination that helps make the language go in a natural easy to absorb way. Each scenario, Visiting a Café, Walking by the River and In the Kitchen has a contemporary setting with two animated characters based on Uncle Stan and Aunty Betty at the centre of the fun. This DVD has been prepared to make these four animations more available, cover production costs, and to generate funding to create more animations in the near future. This is a fantastic resource for language teachers and for anyone, young or old, wishing to start learning the Wiradjuri language. 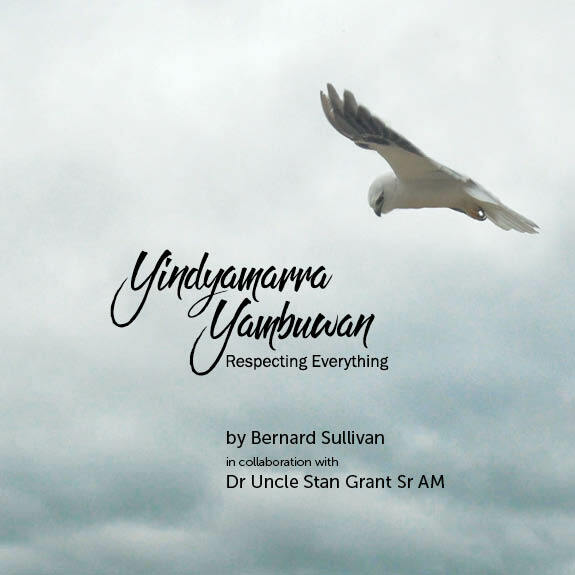 Based around four songs by Dr Uncle Stan Grant and Dr John Rudder. These songs are designed to accompany the Wiradjuri Language Songbooks 1 and 2. This DVD now comes with a singalong sheet.